As the premier independent insurance broker in Tamworth, Landlords Insurance and Property Owners Insurance is one of our most popular policies as we can cover anything from a single unoccupied house to a portfolio of rented houses to whole industrial estates. So, if you have got property in our area you can be assured you are talking to local insurance experts who can recommend the best policy for you in the Tamworth, Lichfield and Sutton Coldfield area. Landlords Insurance is a highly competitive sector with many insurers competing fiercely, which is great news for the policyholder property owner as long as all the relevant facts are disclosed, as it is increasingly common for insurers to become awkward in the event of a claim which is why you should use a broker so that someone is there on your side! The three key areas a Landlords or Property Owners policy will cover are Assets, Earnings & Liabilities. The Assets section which is also called the Material or Property Damage section will cover the Buildings themselves which is the primary concern of most policyholder’s. This is the protection of the physical asset. It is crucial to insure for the correct amount as underinsurance can severely delay the handling of any claim and also reduce the amount paid in the event of damage. If you’re looking for Landlords Insurance but not sure how much to insure for then the following link, for domestic dwellings, will help – https://abi.bcis.co.uk/ – if it’s an industrial or commercial property we would always recommend getting a professional surveyor’s advice to ensure you are adequately insured. Please give us a call and we can help you. Landlord Insurance can cover Landlord’s contents as well – to cover curtains, carpets and accessories which the tenant may neglect to insure leaving you with having to fund their replacement in the event of damage. We would always recommend the Landlord purchase Terrorism insurance too – because although the likelihood is small, as is the premium but were a plane to fall out of the sky because of a terrorist attack then a normal policy will not cover you unless you have Terrorism insurance. Moving onto the Earnings section – this is primarily designed to cover the loss of rental income which is often crucial to cover any mortgage payments. You should always look to cover a minimum of 2 years protection because in the event of serious damage it could take at least that long to get the property rebuilt, refurnished and re-let. This section of the Landlords Insurance can also cover Alternative Accommodation costs too as it is often stipulated within a tenancy agreement that in the event of the property becoming unliveable then the landlord must pay for alternative accommodation for the tenant. The primary Liability coverage provided under this type of policy is for Property Owners Liability – classic examples of claims being a tile falling off the roof because of poor maintenance or someone falling down a staircase because the carpet you fitted had become worn. Legal costs and awards can be significant so we would always recommend at least £5 Million of protection in your Property Owners Insurance or Landlords Insurance policy. If you have employees or engage casual labour to work on your property then you will also need Employers Liability as this is a legal requirement and failure to protect yourself will not only make you personally liable for all injuries sustained but you could also be liable for a fine of up to £2,500 for each day you don’t hold insurance. Another area which a Landlord should always consider is Legionella Liability – liability arising out of a legionella incident which is often a classic grey area under a standard insurance policy unless it has been especially purchased. Landlords Insurance or Property Owners Insurance can be tweaked to cover all sorts of additional risks such as Machinery Breakdown costs (e.g. Boiler repairs), Rent Guarantee (for non-commercial properties), Legal Expenses and Pollution. It can be designed for your individual requirements and as expert independent insurance brokers that’s our job to determine exactly what you need and then get you the best cover at the best possible price. Thanks to technology premiums for Landlords Insurance and Property Owners Insurance can be as little as £100 per annum but it depends of course, on what needs insuring and what the risks are! A massive factor in determining the premium is the nature of the tenant insomuch what their trade is, for industrial properties, or the type of contract and occupants for residential properties. We can insure all types of residential let property be it to asylum seekers, students, professional tenants or even if the property is unoccupied and awaiting sale. 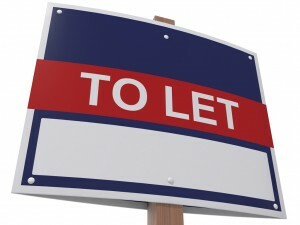 So for advice on Landlords Insurance and Property Owners Insurance please contact us today via email or telephone. What can help with the costs and what makes Prizm Solutions different from most brokers offering these kinds of insurance is that where ever possible, which is in most cases, we don’t take a commission from the insurance companies for placing the business with them. Instead, we prefer to work on a fee basis so that our earnings are completely transparent, which we feel is more ethical. Whether you are the Director or Proprietor of a business in Sutton Coldfield, Lichfield or our home town of Tamworth you can be assured of our independent expert advice and knowledge of Landlords Insurance and Property Owners Insurance. Please click here to arrange a call back or to email us if you would like a quotation.